First, here is a little bit of bragging or proof of family neglect-- recently I reached my ONE MILLION Mile status with United Airlines and I am now gold for life with all the privileges. So if your university administration, travel office and the ticket cost allow for it -- stick with one Airline Alliance (not just one airline). But now to the serious, and hopefully informative, part of my blog. There are a number of services that can help you manage your travel more efficiently and enjoyably. 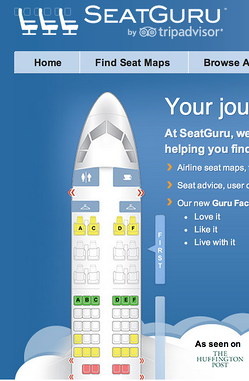 Seat Guru is an interesting service that allows you to review the plane configuration before you pick your seat. For short flights, I would never bother, but for a long flight to India or China it is worth a look. You can select the flight and it will tell you the airplane type and seating arrangement. You can possibly pick a seat that is not right next to the bathroom...unless that's what you want. To take advantage, you need to be early since a full flight does not give you any choices even if you know what seat you desire. Keeping track of your travel documents: Trip It is a service that aggregates all of your reservations. 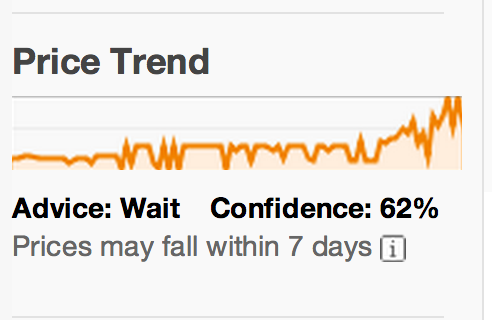 (I have mentioned it previously with a set of other travel app recommendations.) You can forward or automatically collect all of your travel information and have it available on your mobile handset, tablet or computer. For airline travel finding the right price has become a sport. Hotel loyalty programs --- I don't know about your experience, but I belong to lots of programs and I have not been able to be very loyal to any of them. The big chains have lots of choices around the world, but the prices can be so high outside of the US that local hotels seem to be the better choice. Our country manager in China is so good at finding reasonably priced hotels (Shanghai at $50, anyone) that I stay away from the Western hotels. When you join the tour organizers, they will take care of that part for you anyway. Does anybody else have a different experience with hotel programs? Lastly, the dreaded out of office message. Personally, I don't use out of office messages anymore since I am able to get my email anywhere in the world and I want to be responsive to our clients, partners and staff. But I don't have to service hundreds of students directly either. I watch with great interest the multitude of out of office messages I receive and it seems to me that a functional referral to non-traveling colleagues is a useful service to your prospective or current students. See the example below that seemed to do the trick. Happy and safe travels. We hope that you have great summer vacation travel plans before it's back to your recruiting travel in the fall. And, please let us know if you have any interesting travel tips for your colleagues and us.